Ichor® is dedicated to the clinical application and commercialization of electroporation-mediated nucleic acid delivery. Ichor’s proprietary TriGrid Delivery System uses electrical fields to significantly enhance nucleic acid delivery as compared to conventional injection. Ichor’s TriGrid Delivery System is an investigational device designed to enhance the intracellular delivery of nucleic acid constructs in skeletal muscle. The system is comprised of three main components. 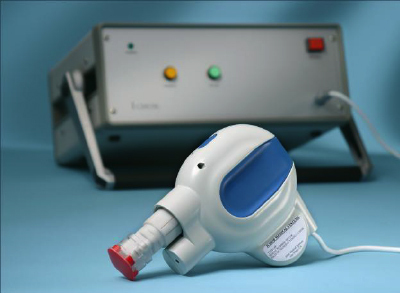 The Pulse Stimulator controls the administration sequences and generates the electroporation pulses. The Integrated Applicator is a reusable handheld device that houses the single-use cartridge. 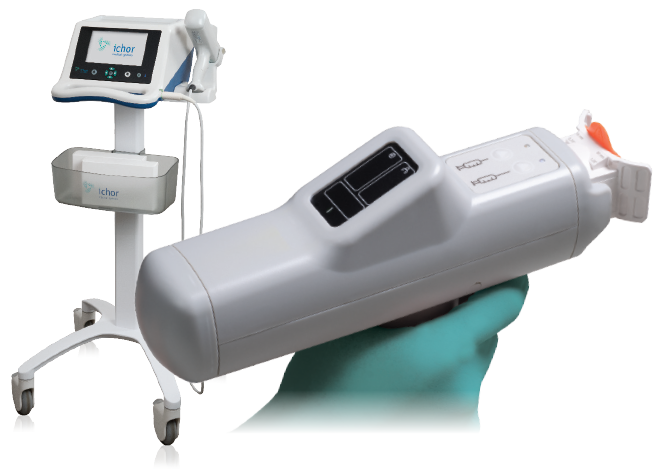 It automatically deploys the electrodes and initiates administration of the biologic agent at the touch of a single button. Its automated design ensures a reproducible application procedure with minimal operator training. The Application Cartridge is a sterile, single-use component that houses the nucleic acid construct to be administered and a TriGrid electrode array for the electroporation procedure. Ichor’s TriGrid Delivery System for early phase clinical studies was designed for flexibility in administration conditions.